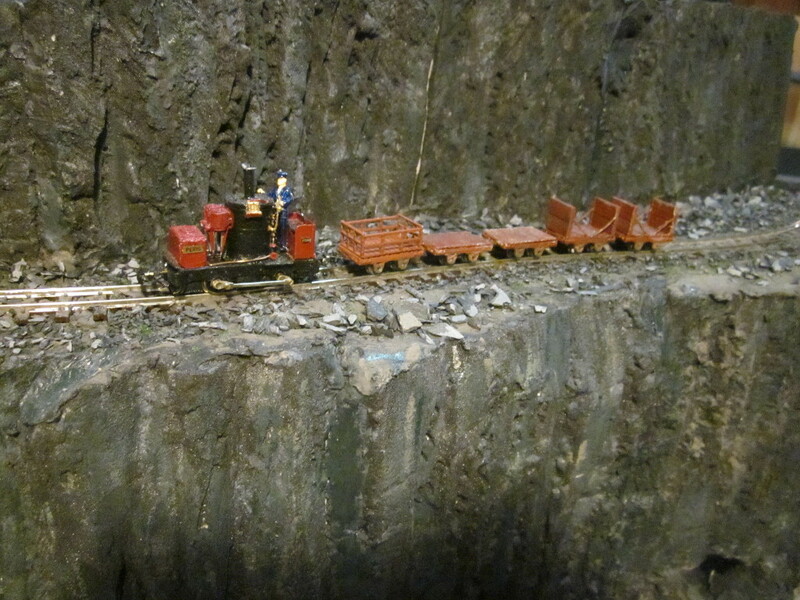 This layout is still under construction and is intended for permanent display at the Bala Lake Railway in Llanuwchllyn. 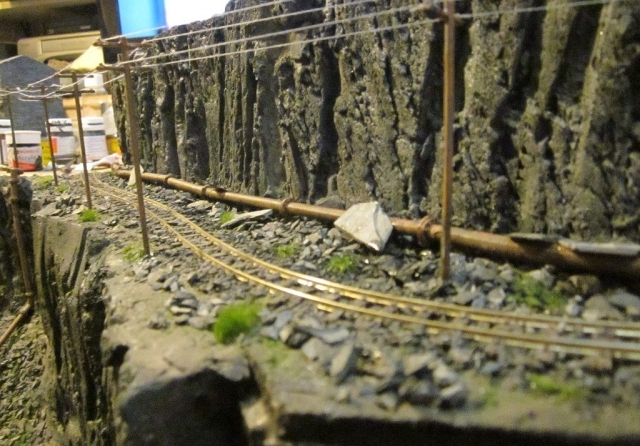 The final installation date is not yet determined, but it will be present part-finished for the opening of the Heritage centre on 15th April 2019 and will also be at the Bala “Great Little Trains Model Show”, 25th – 27th May 2019. 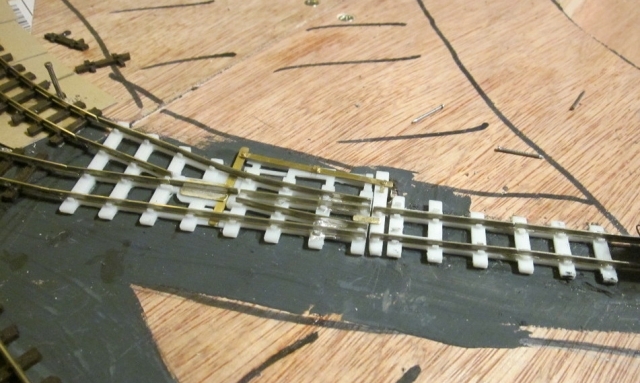 It is likely that the layout will be installed later in 2019 without the upper section which will be finished separately. 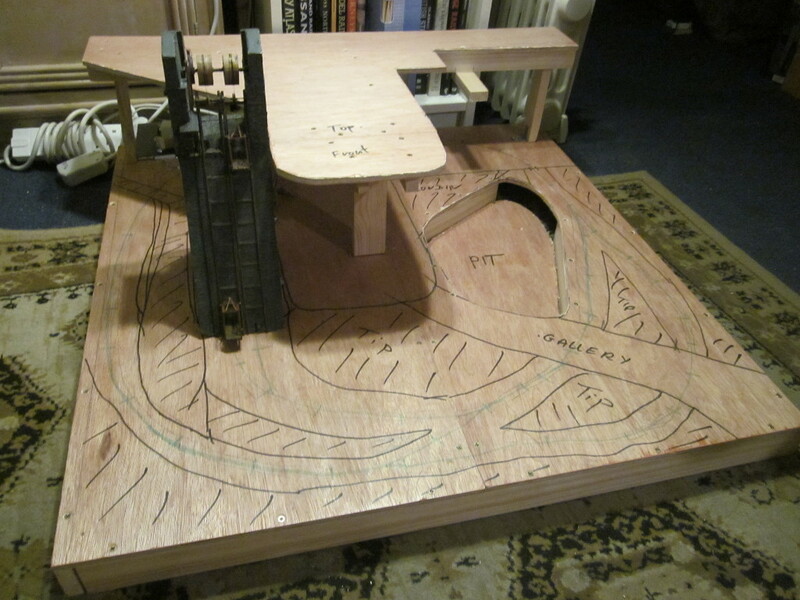 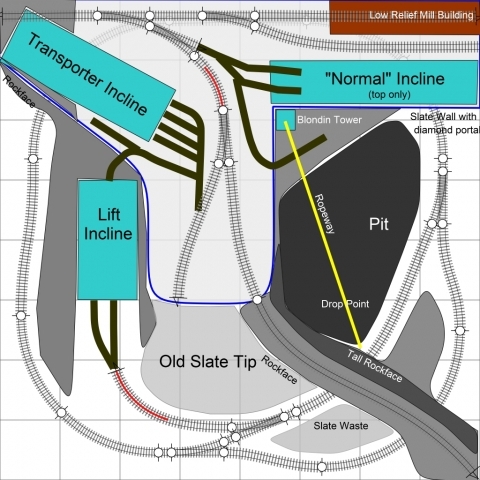 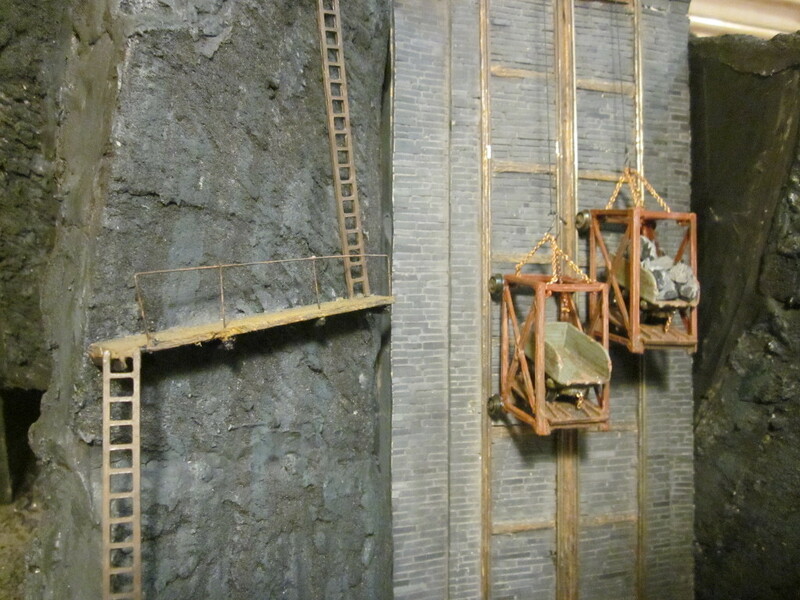 The layout is being built in segments, it the lower section divides into the lift incline area and the Blondin/pit area. The upper section will represent a mill area, although the mill building itself will be a low-relief partial representation. 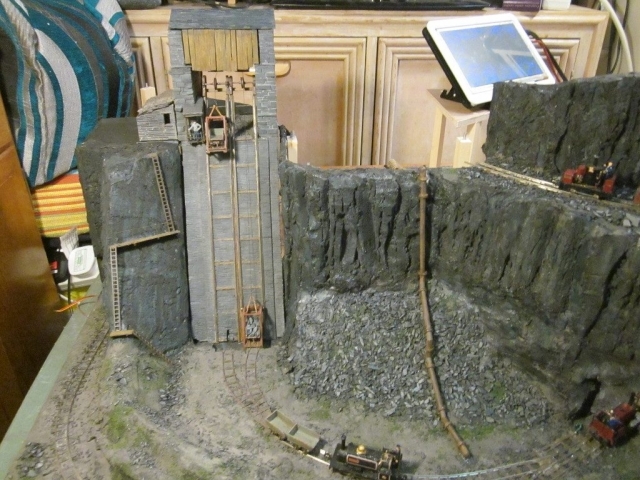 All 3 incline types from the Dinorwig quarry will be represented with working models and there will also be a working Blondin ropeway. In addition, the layout features working stub points, with the pivot driven through a rocker bar as per the prototype. 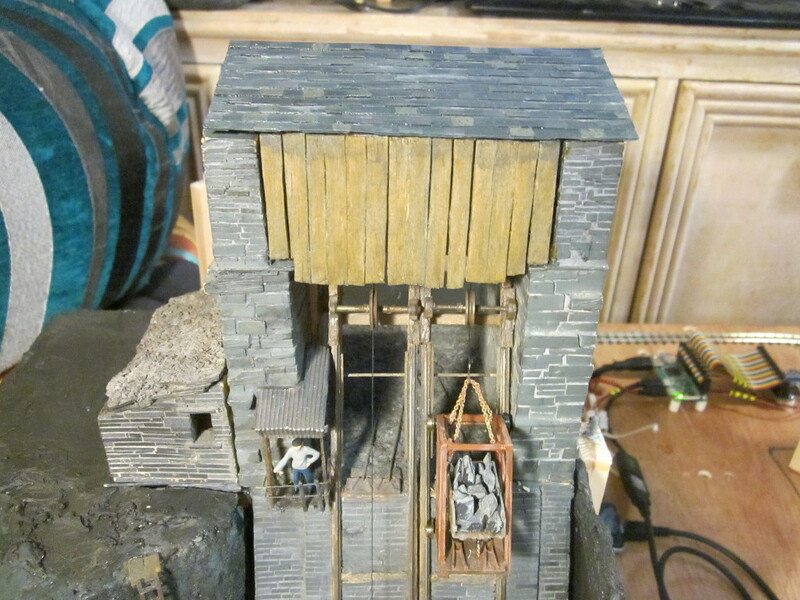 The lift incline model is the one originally built by Pete Wilson for his epic quarry layout, Chwarel Cwm Bach. It has been carefully restored for use on this layout. 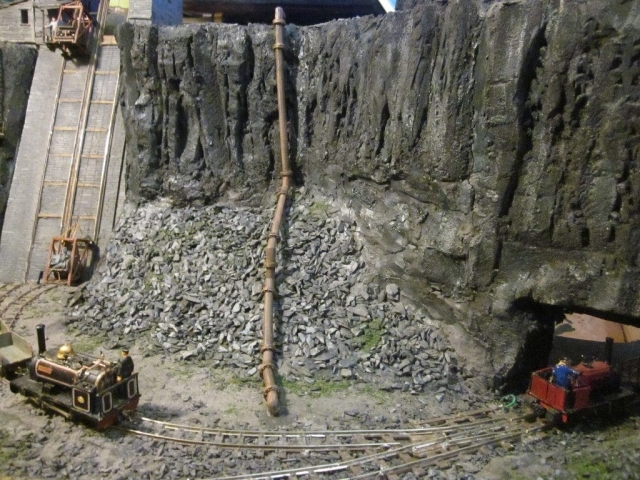 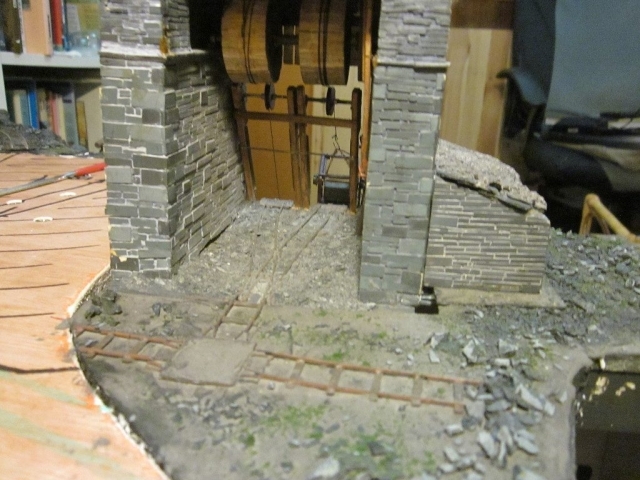 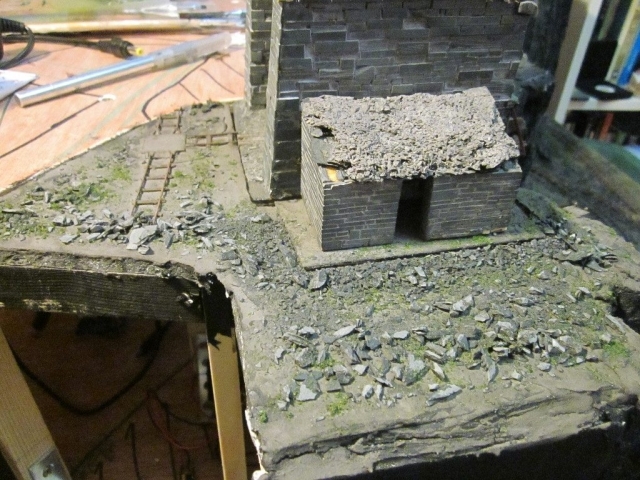 Pete has also donated a significant proportion of the original rolling stock from Chwarel Cwm Bach for use on this layout, some a few are shown in the pictures below. Most will be used on the upper mill area once complete. 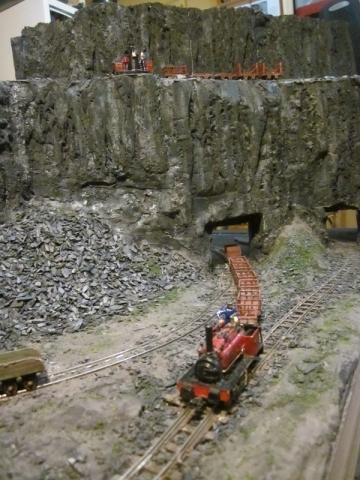 The entire layout is fully automated, being controlled by a Raspberry Pi mini-computer and will ultimately be activated by a push-button on demand by visitors. 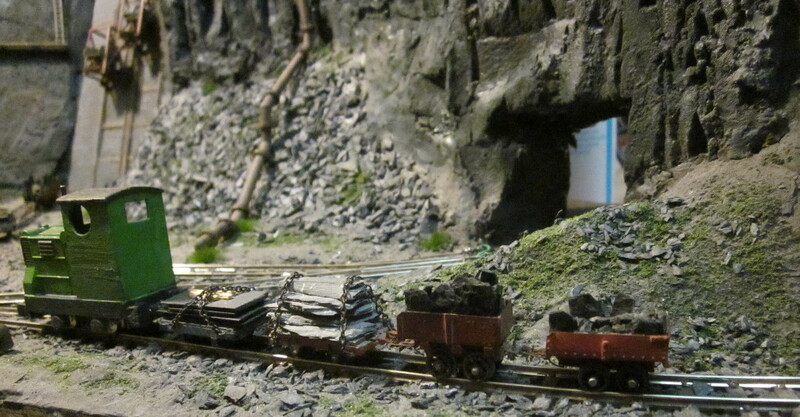 The rolling stock is all 3D printed to my own designs, some of which can be found on Thingiverse. 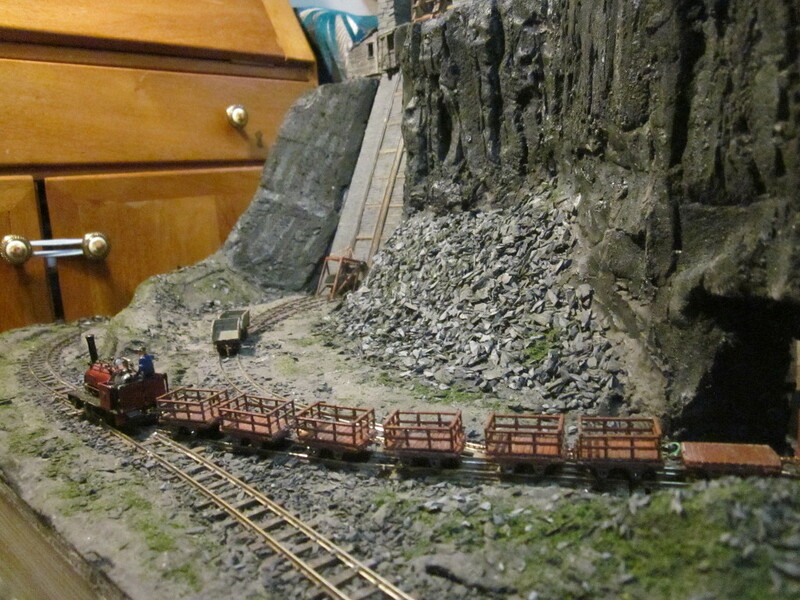 The locos pictured are borrowed from the Bryn/Chwarel Tegid fleet. 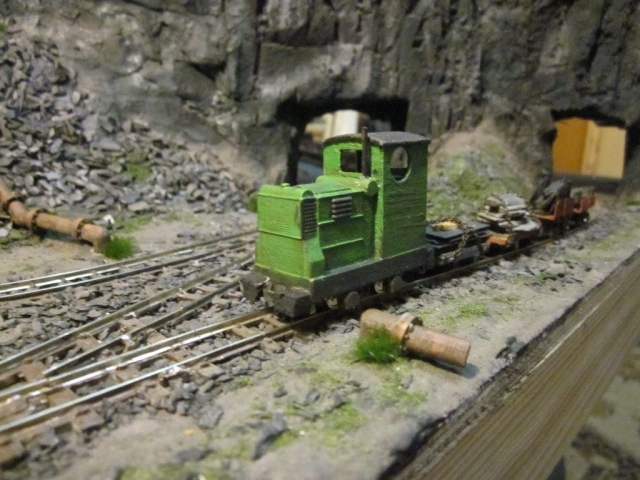 It’s hoped to obtain a Bachmann Quarry Hunslet (or three) for the layout in the long run, but alternative temporary motive power will probably be needed in the interim (I can’t spare the other locos). The video below shows the first segment of the layout, with the lift incline installed, There is still much to be done in terms of detail on this section, but this section is close to being finished. 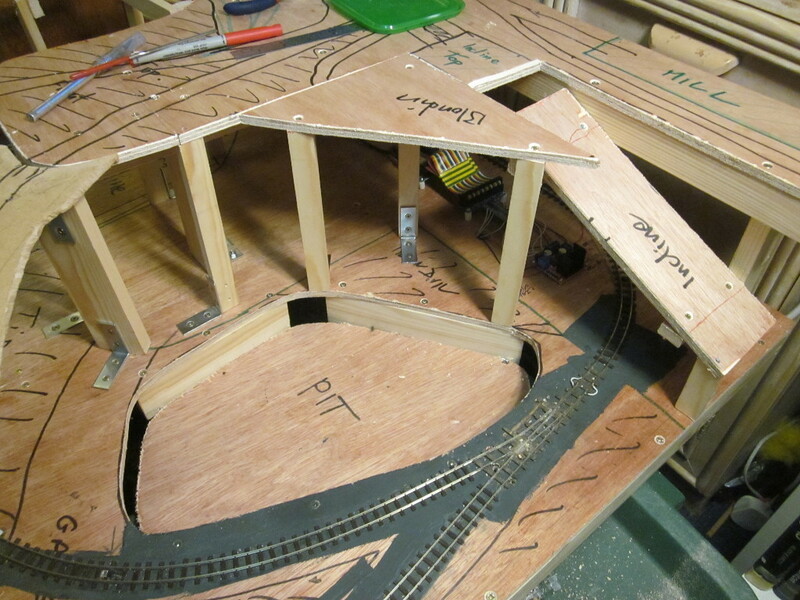 The other sections are still bare boards.